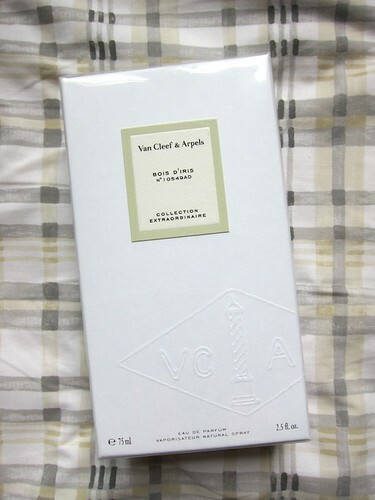 I was thinking Sel de Vetiver, too. And they have a shampoo that works nicely all by itself. Expensive, but the beachy smell is wonderful. There is a knock-off of Escada Magnetism For Men, which is a lot closer than the counterfeits, called Estrada Attraction. Cheap, too. Lucky Scent also means samples - a big deal! The lilies and ylang ylang got to me on this one, keen not so much. But it's rendition of the lily flower is pretty lovely even though I'm not a fan of the note. Thankfully they were tempered by vanilla and sandalwood to make for a wearable scent on me, leaving this a heavier floral as opposed to a fresh feminine one. Found this while reading reviews on Luckyscent, cracked me up. "...Money doesn't buy good taste and fragrance can't cover up up the stench of snobs." Cold rainy weather always make for perfect days to try scents, especially if it's a Sunday morning. Sampled the Van Cleef & Aprels Collection Extraordinaire on my wrist and snuggled back under the covers, bliss. Here's what I got for spending USD 185 yesterday.